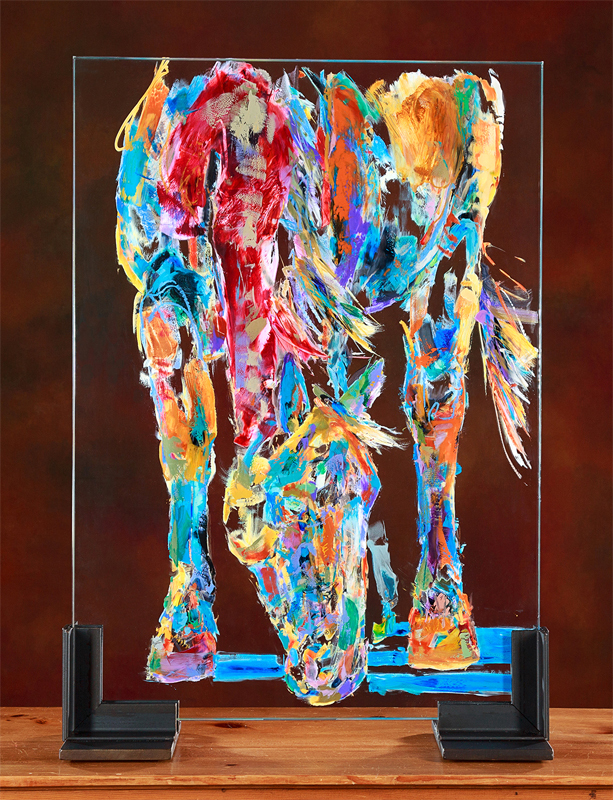 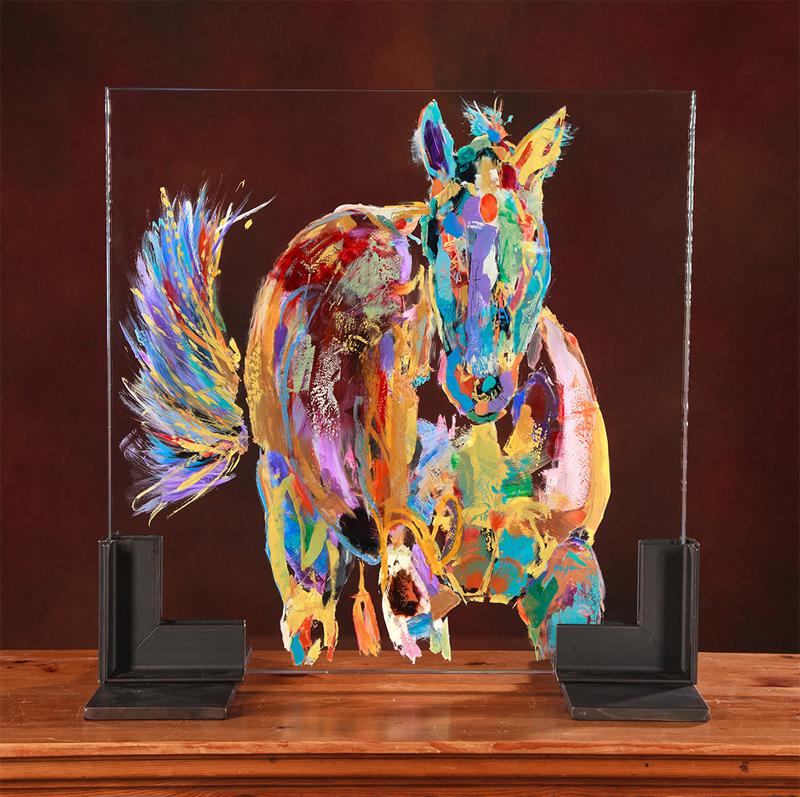 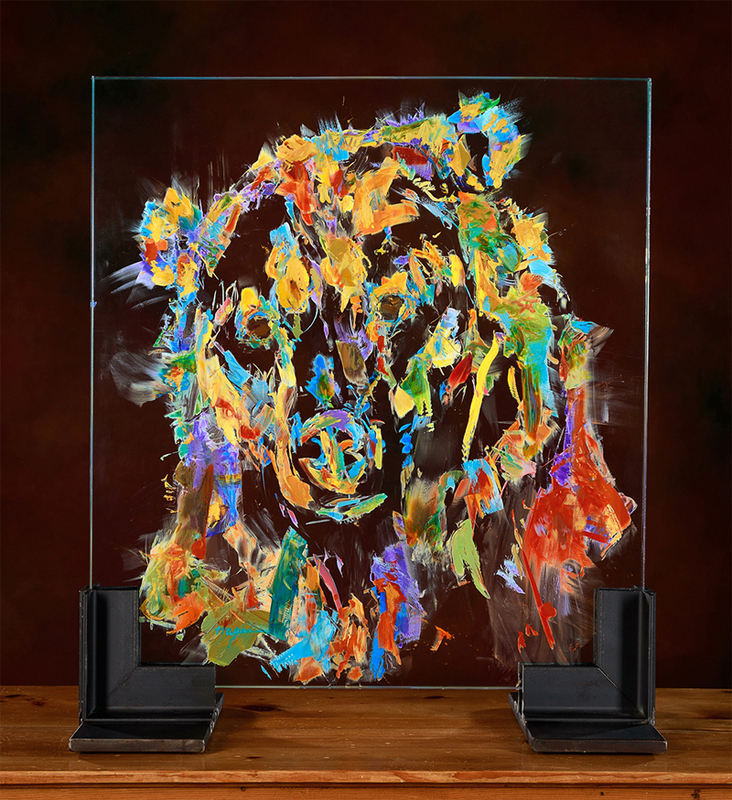 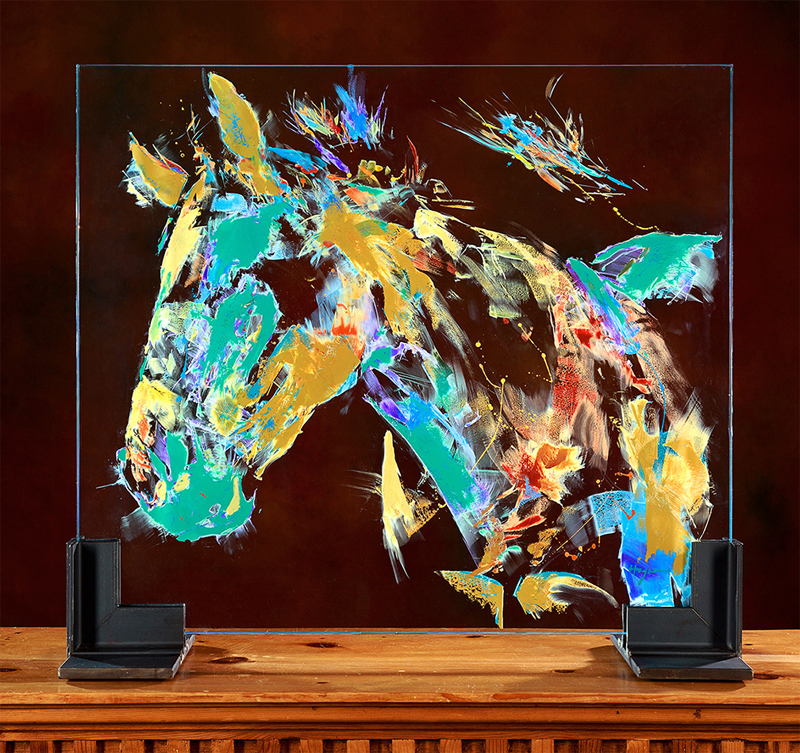 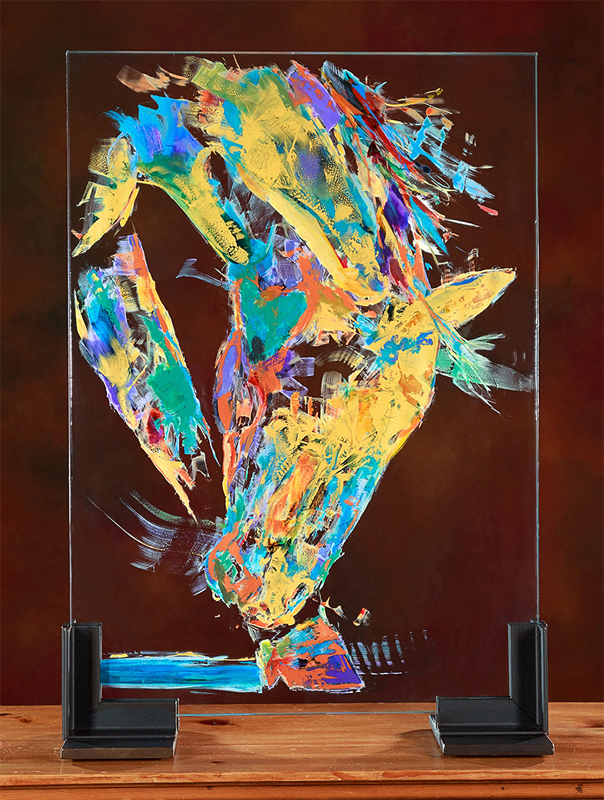 My paintings of horses on glass are a series of intimate portraits of them. 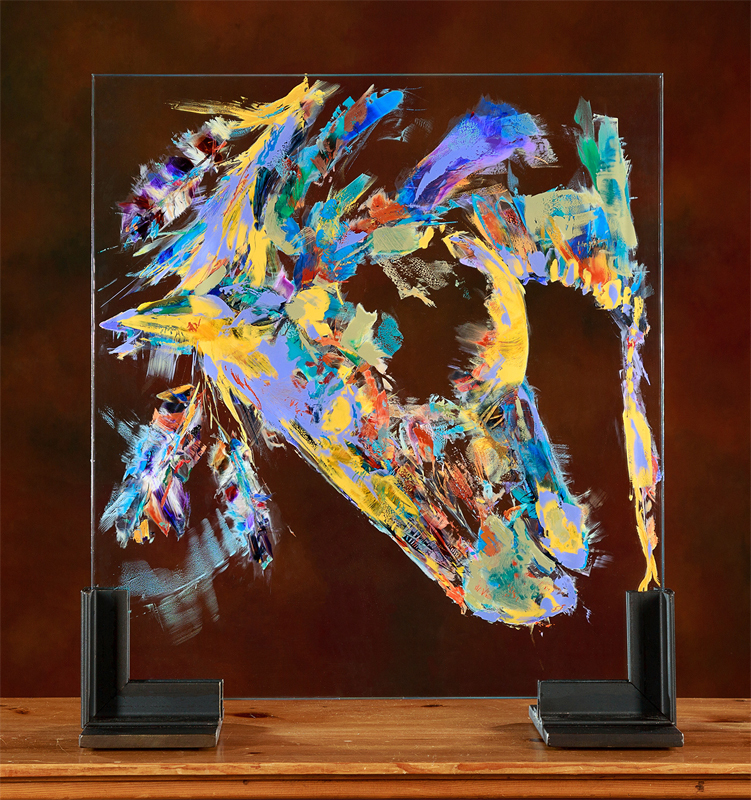 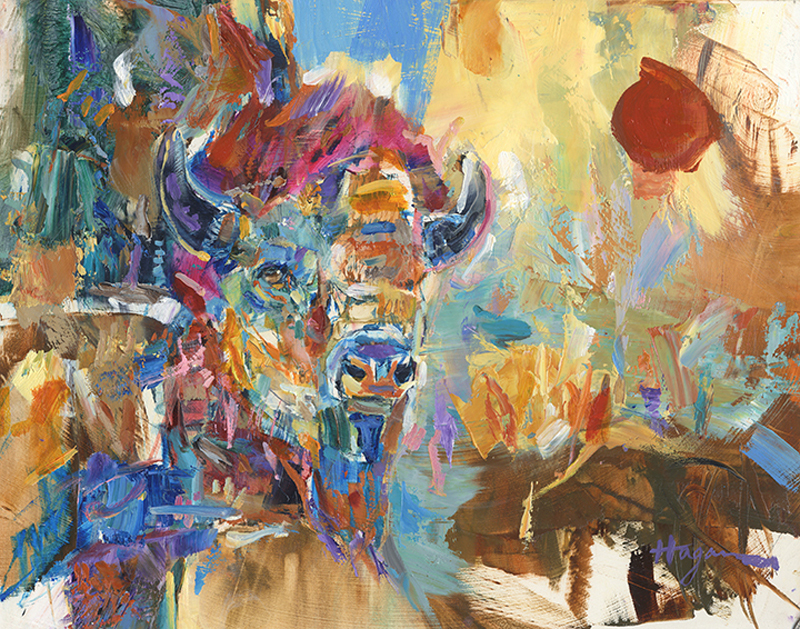 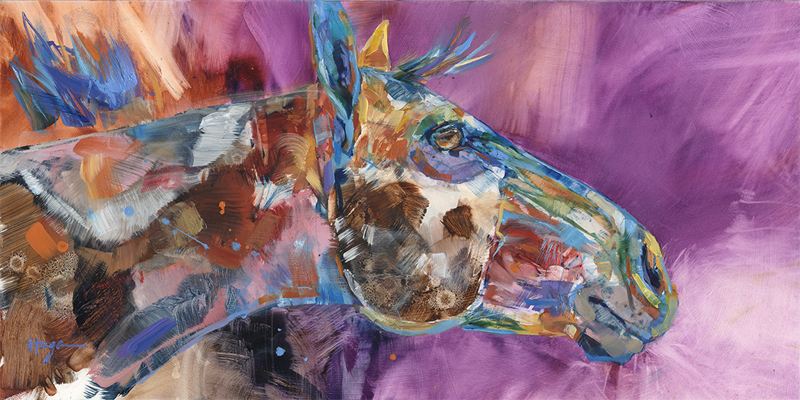 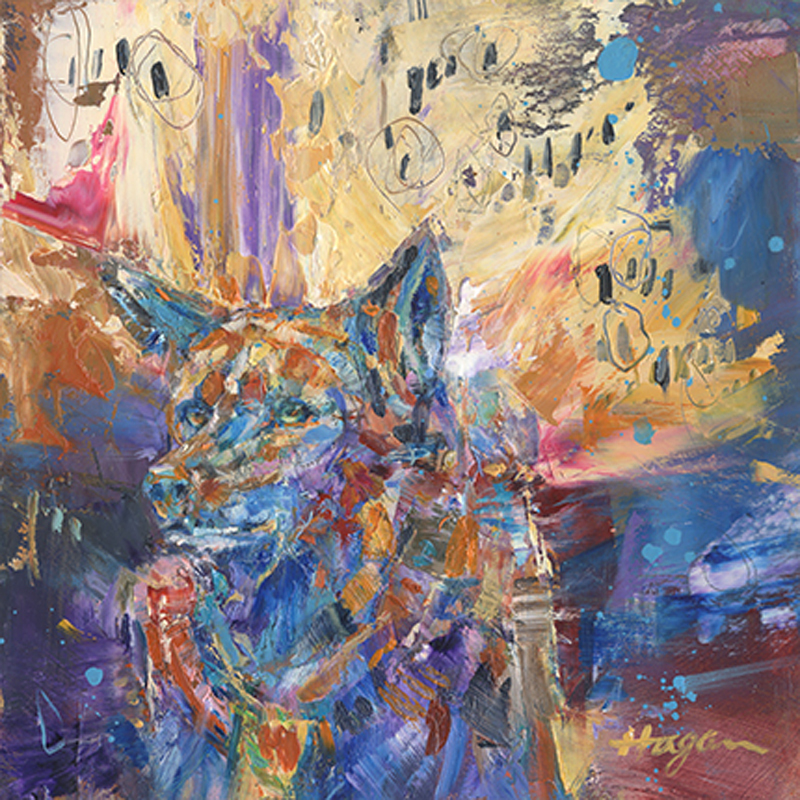 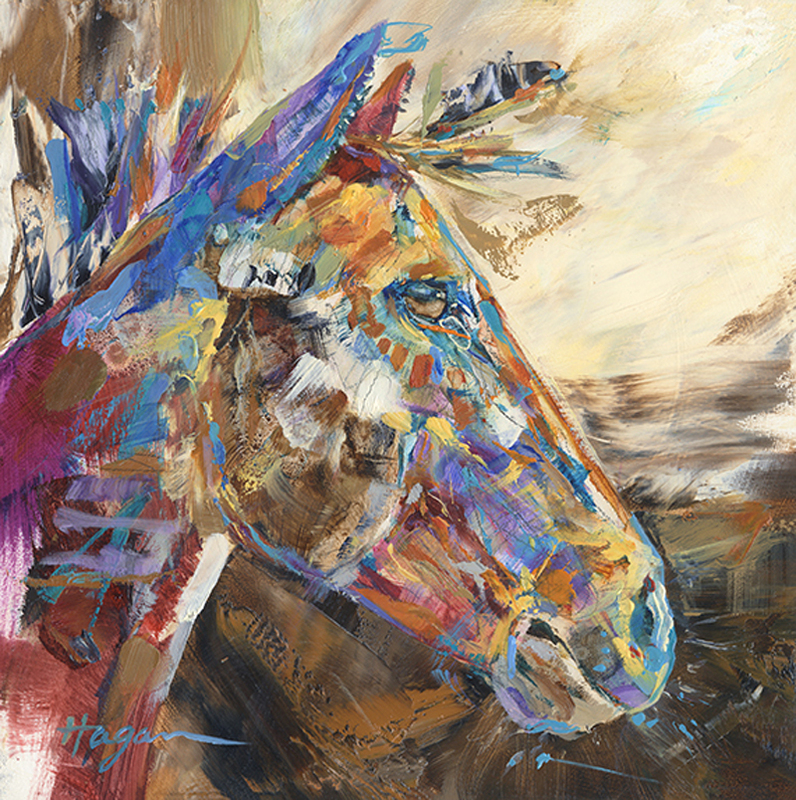 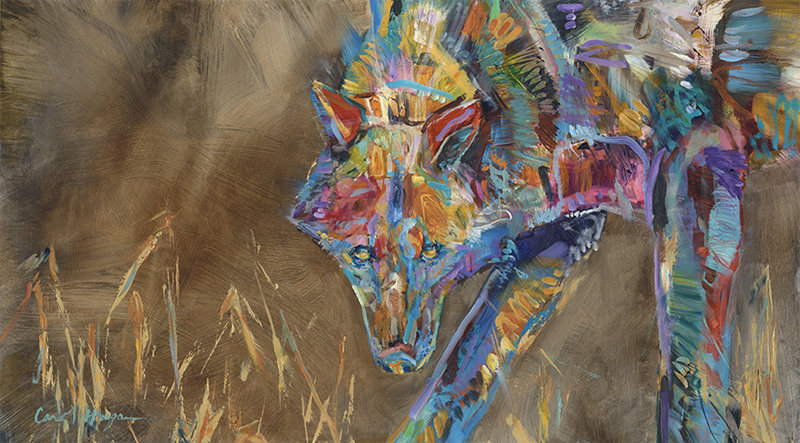 A more abstract use of brush strokes, line work, raw form, and sculptural marks, conveys my efforts to portray the inner Spirit of The Horse in a unique way. 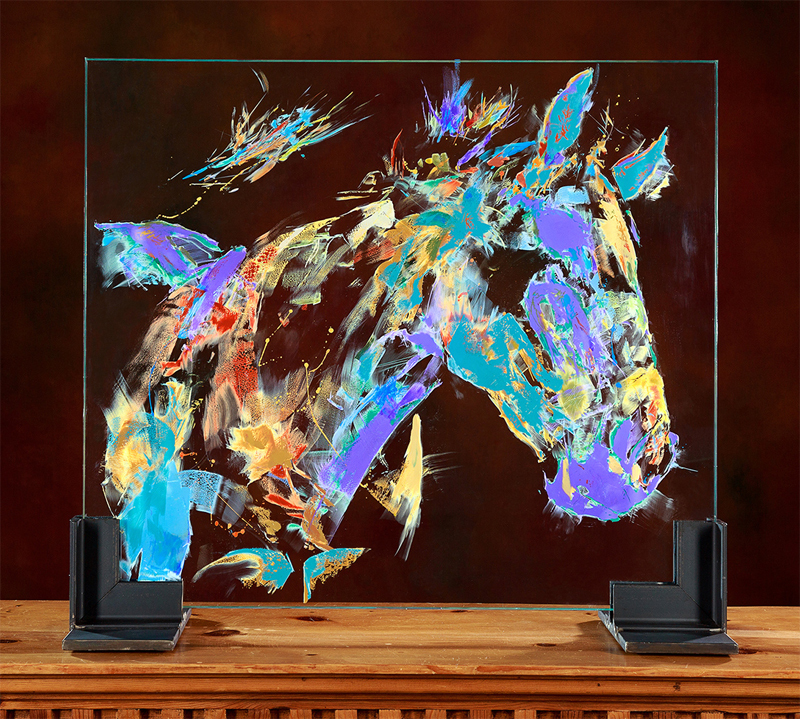 Painting on sheets of thick glass allows me the opportunity to incorporate the dimension of light, and the works to be viewed from both sides. 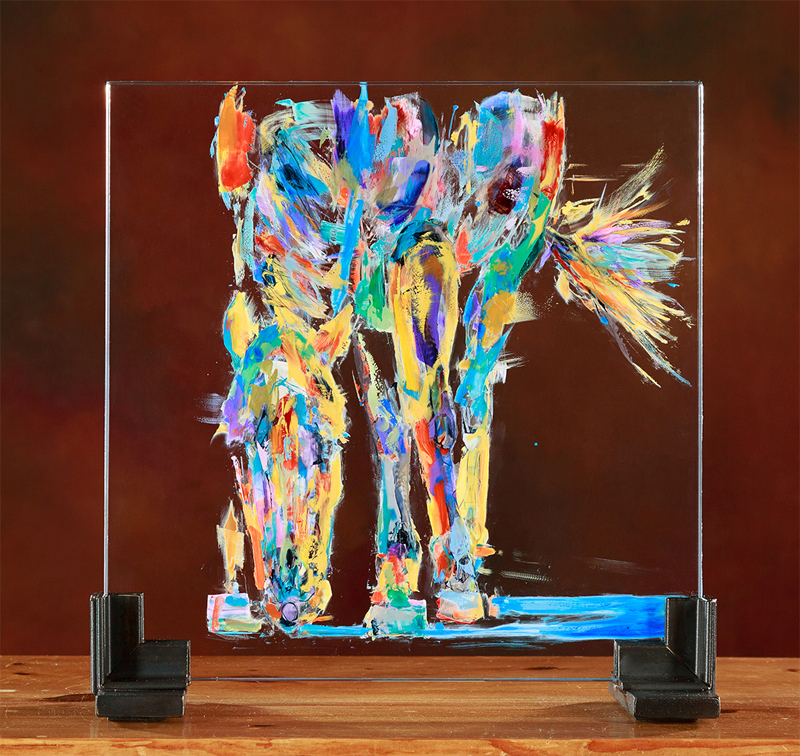 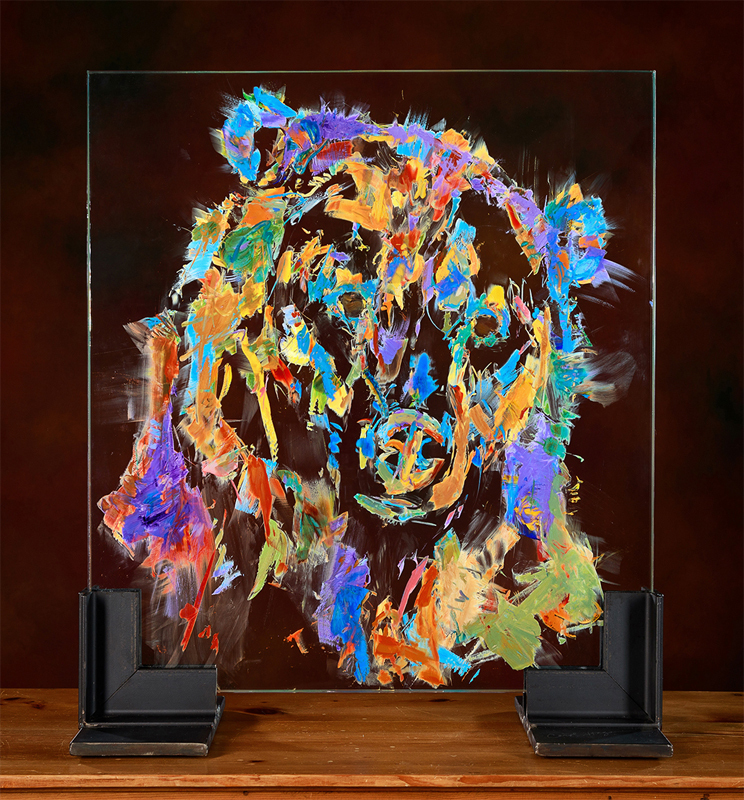 Taking all sides into account, there are four paintings in each piece…a front and a back on each sheet of glass works with the front and back sides of its’ counterpart. 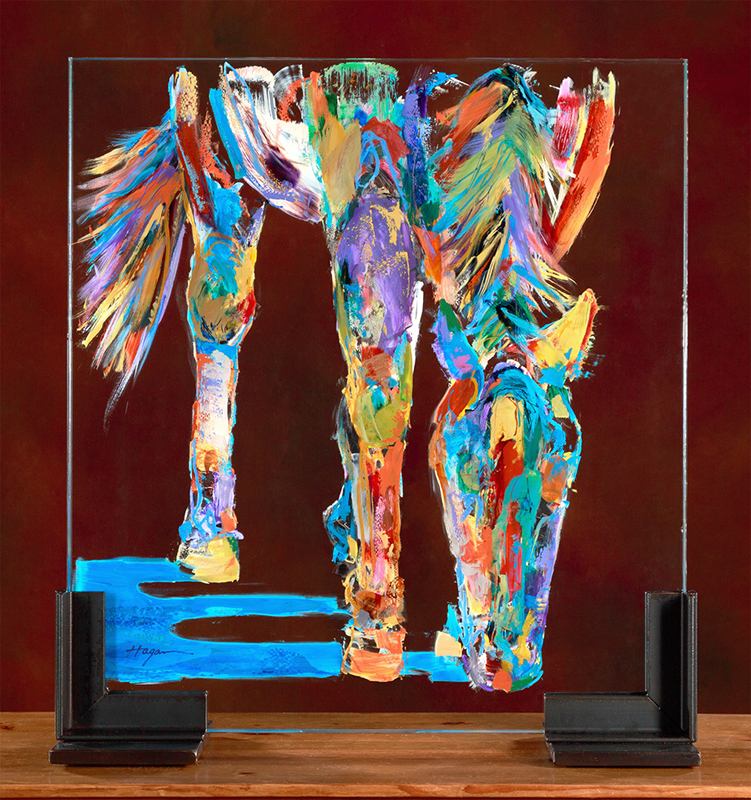 Shadows cast from the horses themselves, through their positive and negativespaces, gives them a three-dimensional presence. 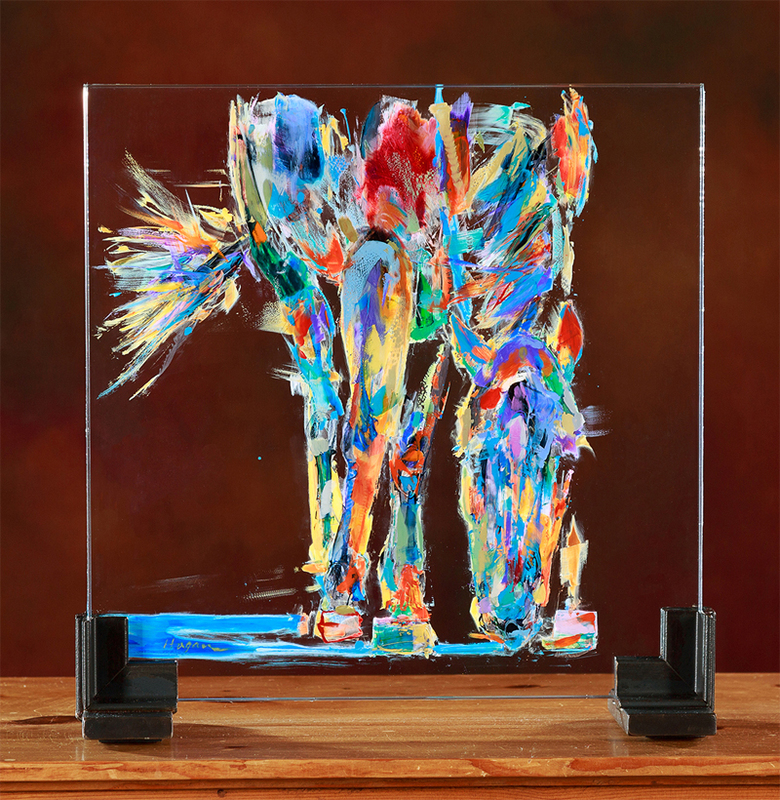 A complete work incorporates two sheets of glass, with painting on both sheets working together to mirror each other, therefore creating a single image when the two sides are then placed together, facing each other. 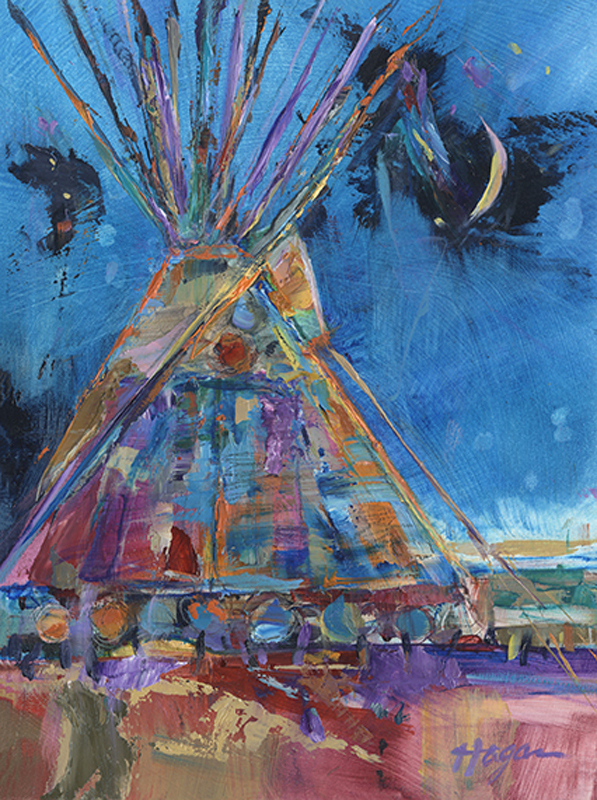 The finished work is then sealed along the edges. 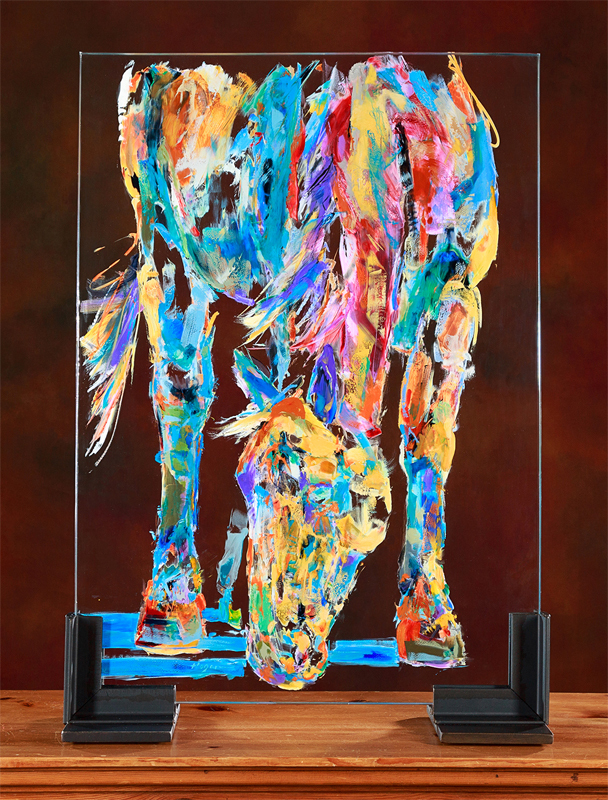 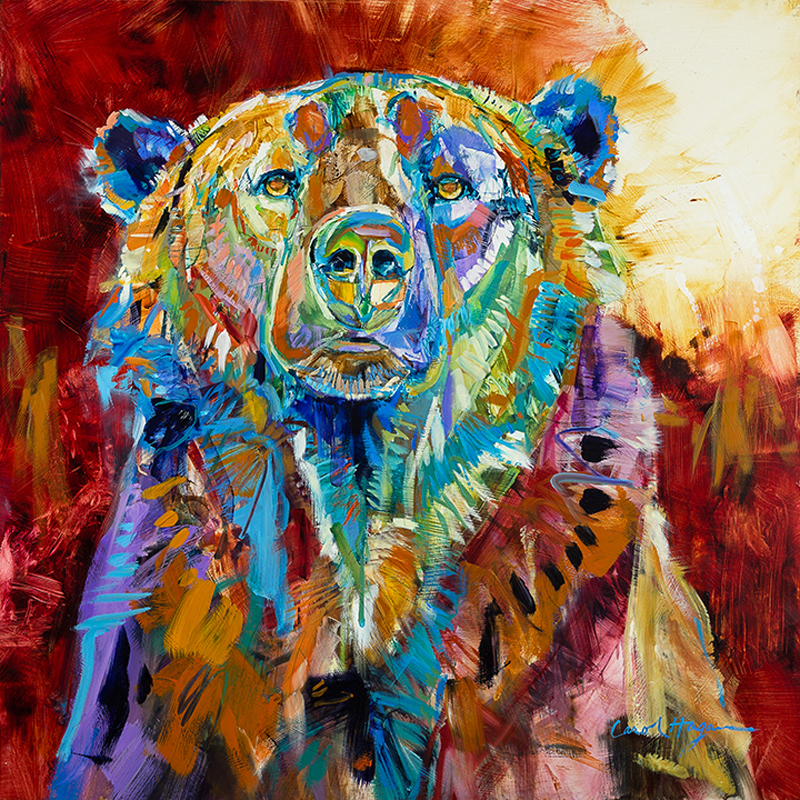 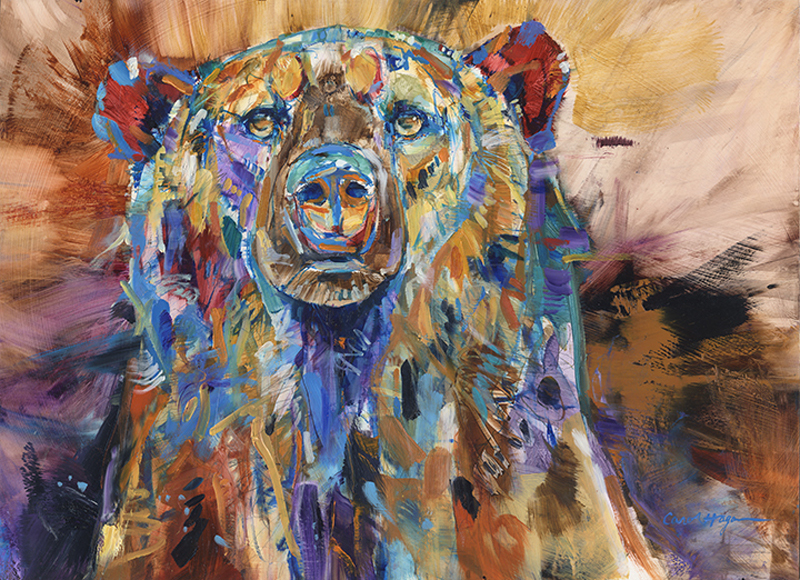 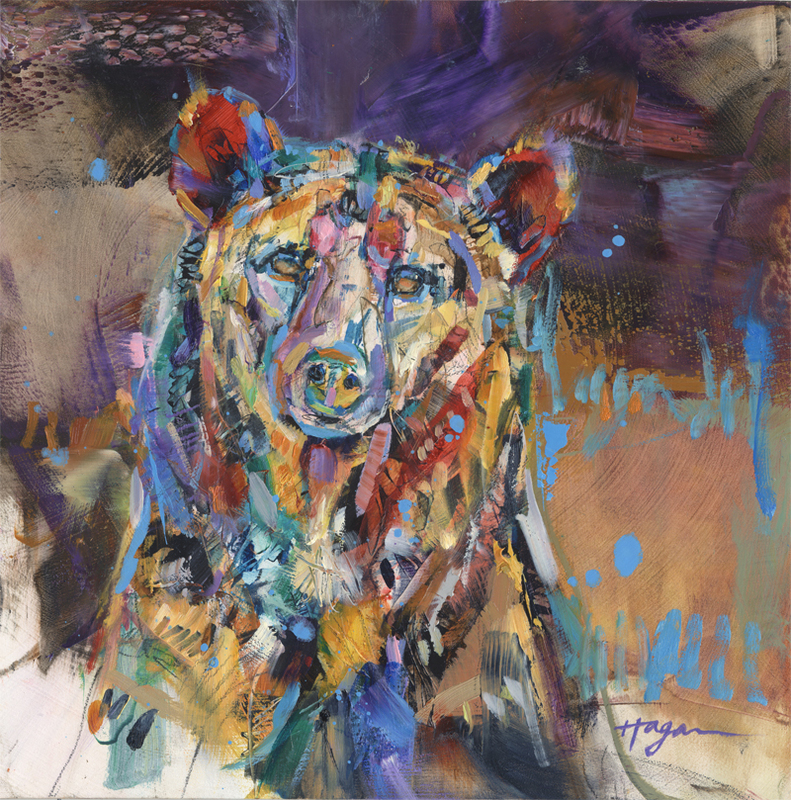 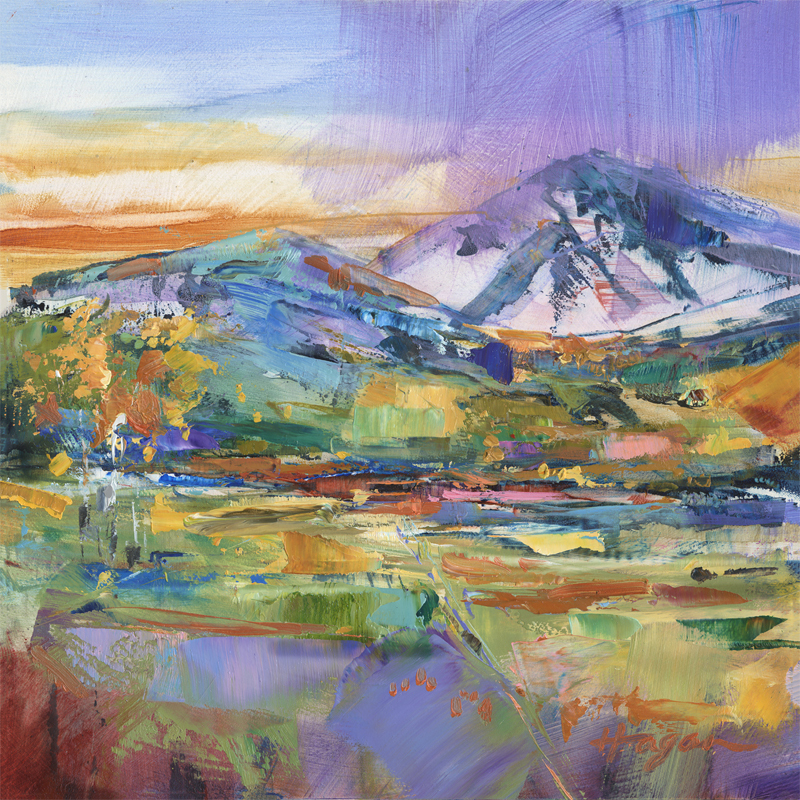 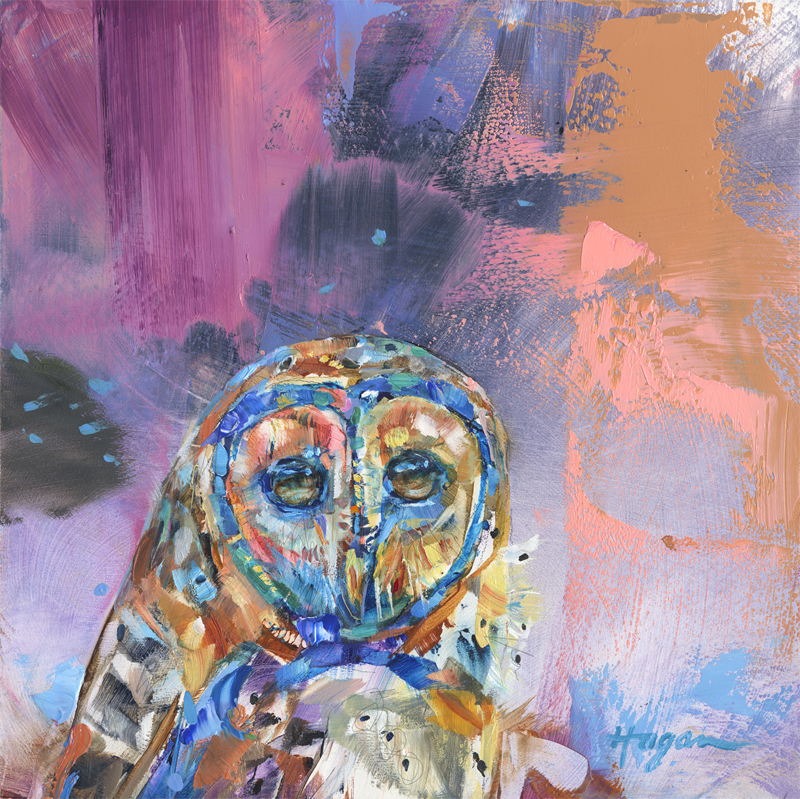 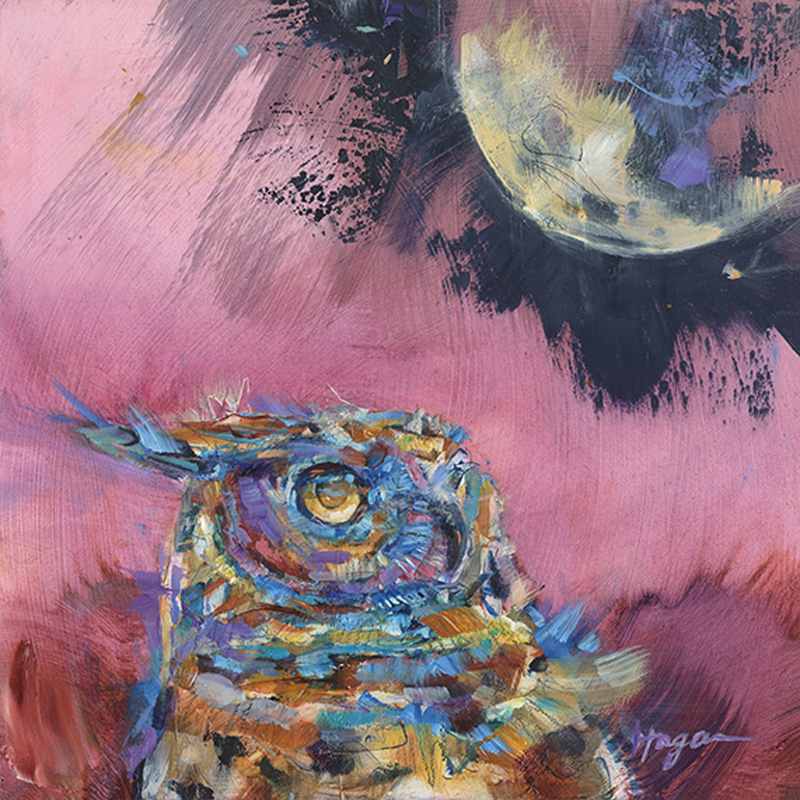 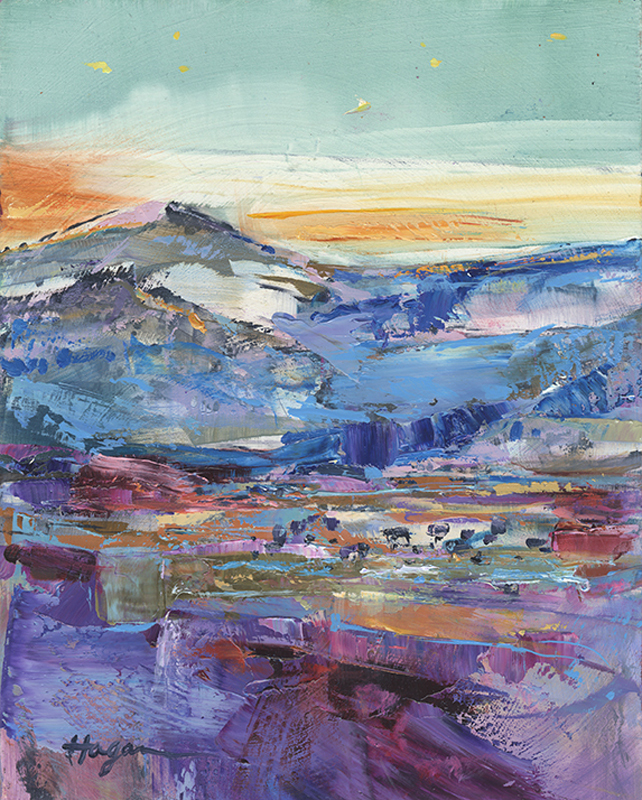 Transparent washes and glazes, opaque strokes, and richly textured areas all interact with the element of light, and bring its’ ever-changing qualities into play. 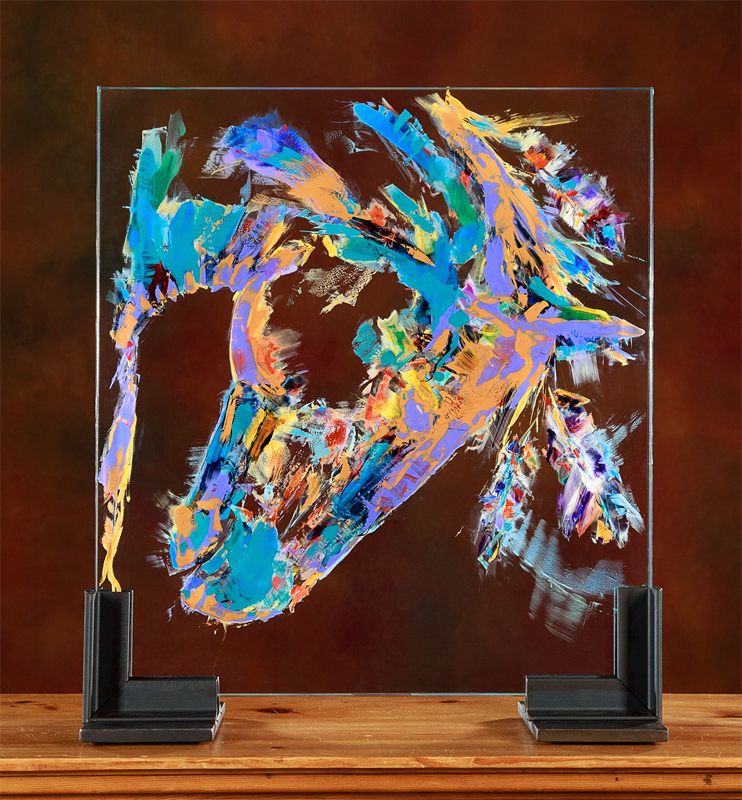 This creates a sculpture that is continually evolving in both its’ hues and shadow-casts, as the light shifts throughout the day. 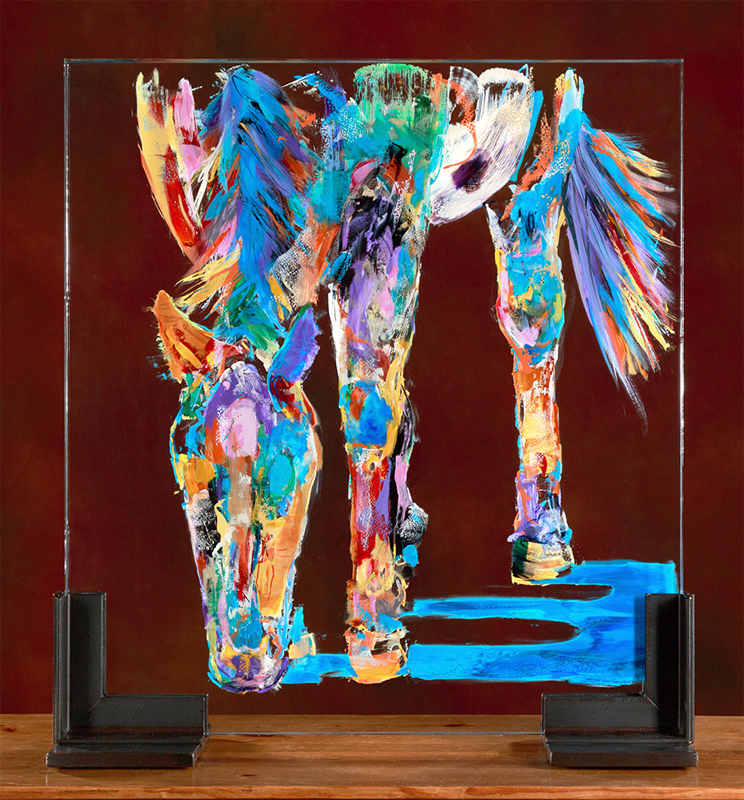 I chose to have my glass sheets beveled, as this allows for yet another aspect of light prisms to reflect from the painted images, and enhances the interesting shadows that they create. 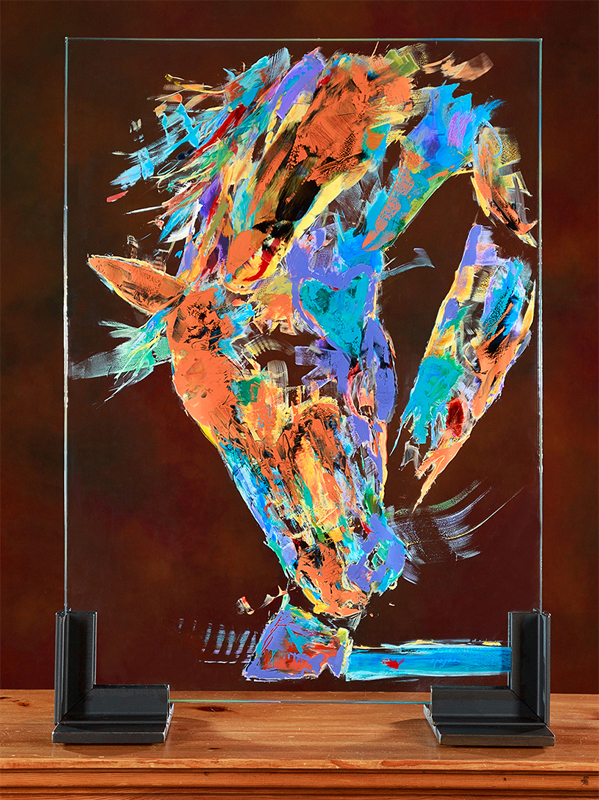 These works in oil and cold wax on glass are another part of my on-going series in my celebration of The Horse. 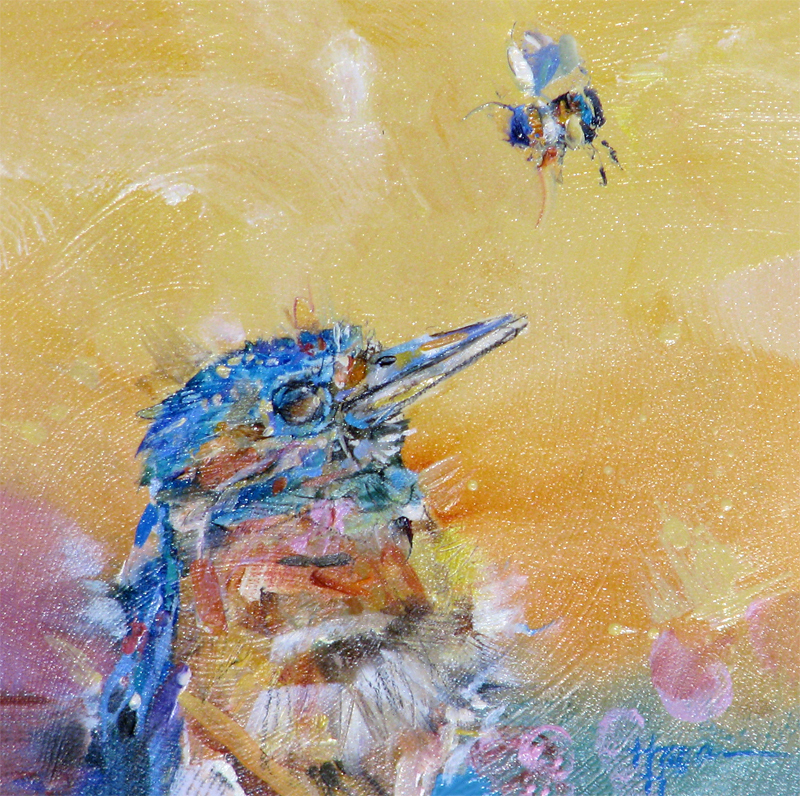 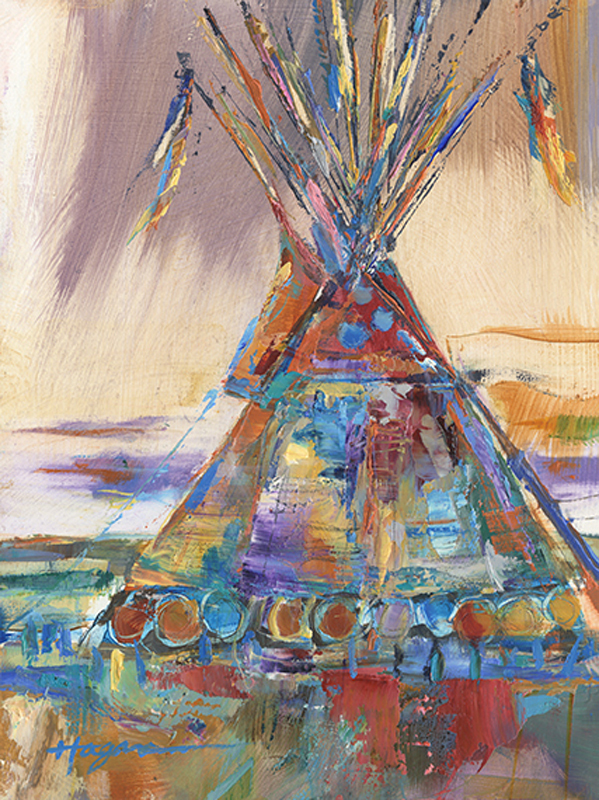 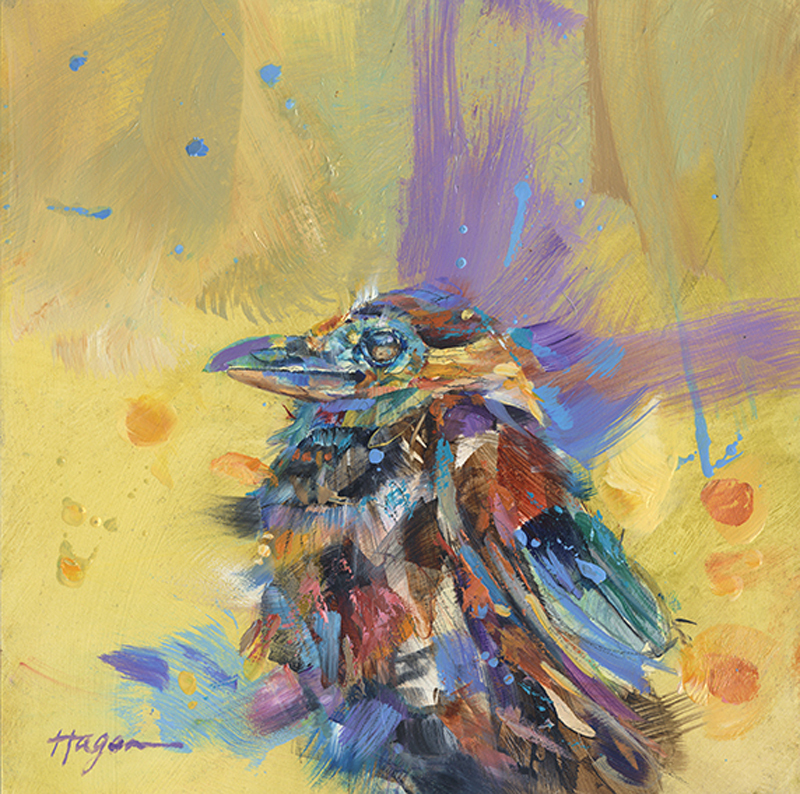 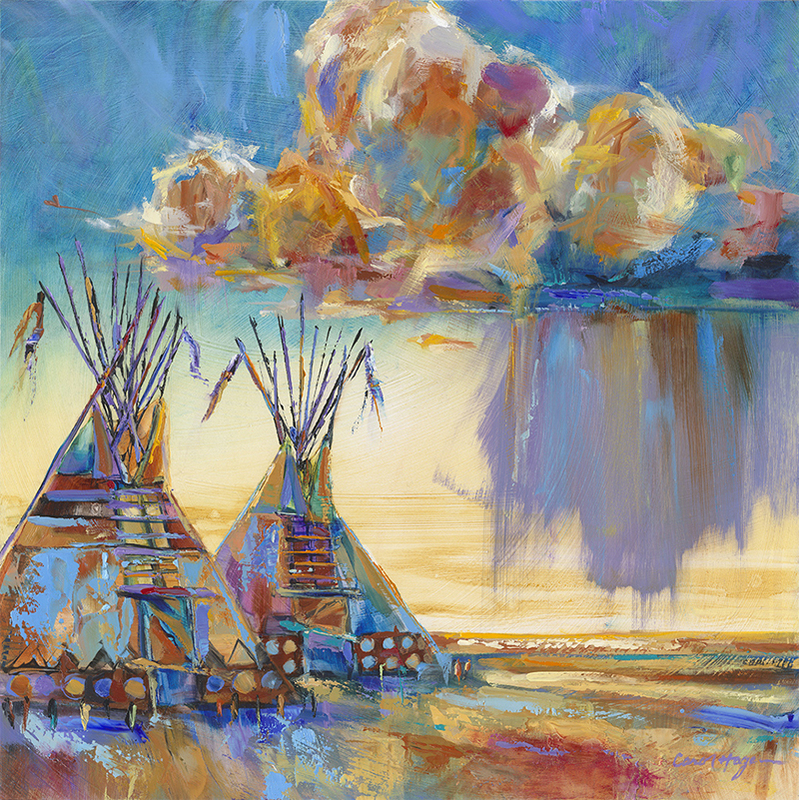 They are inspired by Their grace and spirit, the essence of their connection with the earth, and their exquisite dance with life.